In Medieval times the church used street theatre to tell stories from the Bible as a way to communicate Christianity to everyone. The Anglia Square Passion on Friday 19 April will continue this tradition. The play will be performed under the glass canopy in the centre of Anglia Square and involve the shops around the square, local people, community groups, local churches, and even a Bishop who plays the Angel Gabriel! Taking any performance to the streets is ambitious. 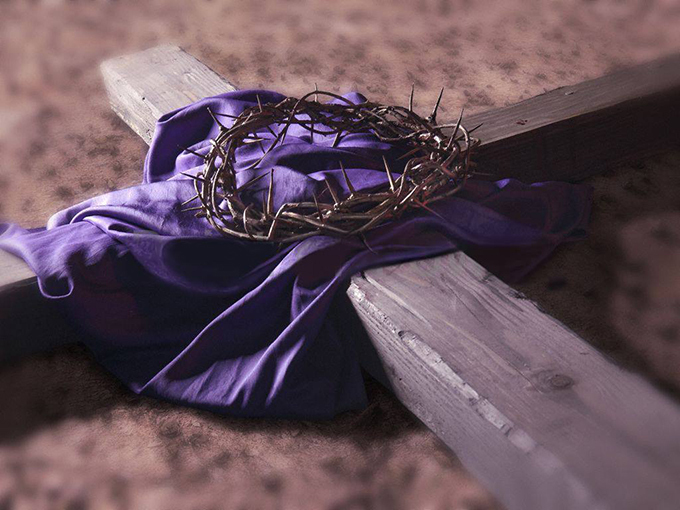 The Anglia Square Passion Play 2019 is based on a very successful version performed in Horstead last year. "At Horstead, the performance was inside the Tithe Barn on a stage, making life for everyone much easier. However, performing Christ’s Passion is not about making things easy. If we are to understand even the tiniest iota of what He went through both physically and emotionally, then we have to be prepared to push ourselves too." Through the Angel Gabriel’s narrative lens, we are made privy to actions and emotions which lend a new perspective to a story that many of us may feel we already know well enough. The audience can witness John the Baptist urging repentance, Jesus preaching a new interpretation of the Sermon on the Mount, the events of Holy Week in the dangerous streets of Jerusalem, the simmering anger of Judas Iscariot and his final betrayal in the Garden of Gethsemane. Admission is free and people are welcome to watch a part or stay for the whole one-hour performance on Good Friday 19 April at 3pm. Follow the Passion Play at Anglia Square on Facebook. This article comes courtesy of Network Norfolk.